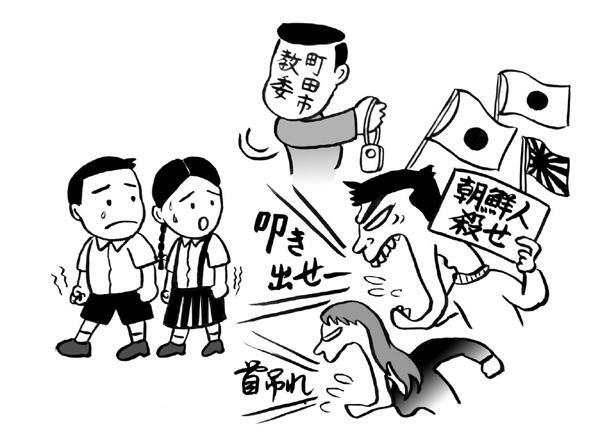 The Education Board of Machida City, Tokyo, did not provide the Korean Elementary School in the city with security alarms that are given or leased every year to the newly enrolled children of elementary schools. (Alarms are given to those going to public schools and leased free of charge to those going to private schools according to the request by the school.) The board explained that the decision was made taking into account the recent situation surrounding North Korea, but repealed it after receiving more than 500 phone calls, faxes and e-mails from citizens in protest. Following the Abe administration's decision to exclude Korean Schools from tuition-free system for high schools, many local governments suspended subsidies for Korean Schools. Kawasaki City, Kanagawa Prefecture, suspended the subsidy and distributed books written by family members of a victim of abduction by North Korea to the students of Korean Schools. The General Union's campaigning for job security at ECC Foreign Language Institute has seen some major changes. 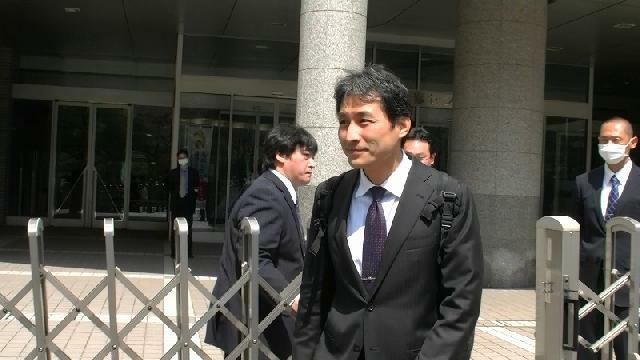 From this spring teachers can become seishain (permanent employee) and are also one step closer to permanent employment. Native teachers now have the opportunity to be promoted to seishain with recommendations from their supervisors. ECC management has told the union that from March 1st, native teachers working in schools will also be eligible for seishain positions. Native teachers promoted to seishain will have to complete 10 hours of extra non-teaching duties. In the words of ECC management, "This is one big step forward". Though with only 2 native teachers (both district office workers) being promoted to seishain this spring, the General Union will pay close attention to ECC's sincerity in the promotion of actual teaching staff to seishain. ECC employees can be recommended for seishain positions by managers throughout the year with appointment starting in March, June, September and December. Job security through seishain positions is not the only step towards permanent employment. ECC has implemented the revisions to the Labour Contract Law giving all employees the right to ask for an unlimited term contract after 5 years of continuous employment. However, ECC will not take into consideration length of service for time served before April 1st, 2013. Furthermore, management have implemented a mandatory retirement age of 60 with rather harsh re-employment guidelines. Japanese cram school, Ichishin Gakuin has reduced salary of instructors on limited-term contract, unfairly dismissed two of them and enforced retirement age of 51. 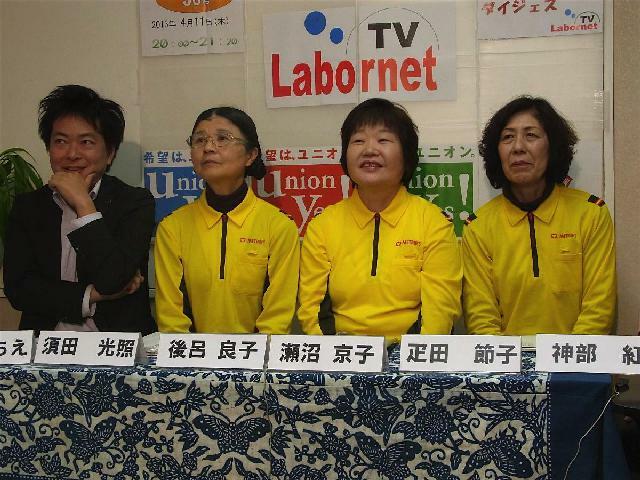 Eight workers on limited-term contract went on strike on March 31 in protest of the attack from the school. Photo=a union member reads demands to the company representative. People chanted, “We are against restart of nuclear plants! We need no nuclear plants! Protect our children! Protect our future! Protect our homeland!” It’s been two years since March 11. The disaster at Fukushima Daiichi Power Plant is far from over. There was a blackout there just the other day. 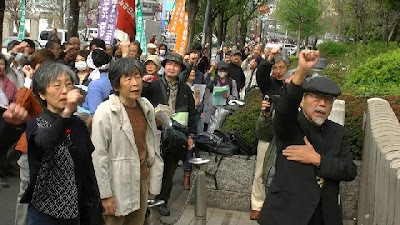 The weekly Friday protest at prime minister’s residence began in April 2012, organized by Coalition against Nukes. It was the time when the safety myth that an accident never happens was shattered and people wished for suspension of all nuclear plants in Japan and people were awaiting for the last one at Tomari, Hokkaido, to be suspended a month later in May. The previous government of Yoshihiko Noda and the Nuclear Village instigated media to promote “an end to the disaster” by declaring that the plant remains cool. This was also when the government was trying to restart Oi Nuclear Plant by saying that there would be shortage of electricity unless we restart it. On March 29, a year after all of these ordeals, 6,000 people gathered in front of prime minister’s residence as every other Friday. This protest was one of a few events commemorating a year anniversary of the nuclear disaster. 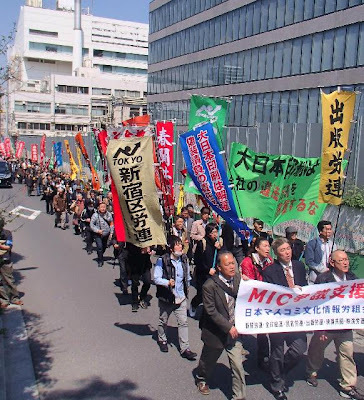 On March 23, 7000 people got together in Fukushima City. Another organizer, Shiro Igarashi, added that Fukushima people’s hope is to decommission all nuclear plants in Fukushima. We have the responsibility to create radiation-free future, he said. 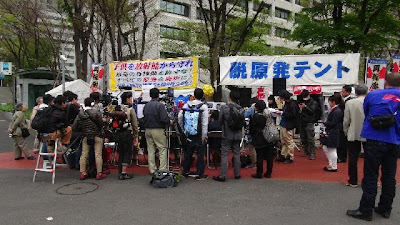 In the meantime, the Anti-Nuclear Plant tent was facing an eviction order issued by the government. 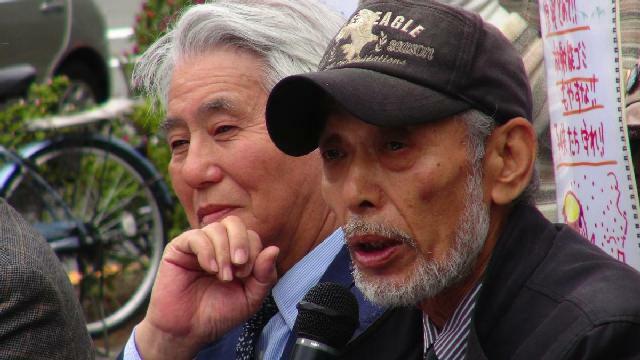 Having acted as the center piece of anti-nuclear movement in Japan, the tent was surrounded by hundreds of people who wanted to protect the tent on March 22. 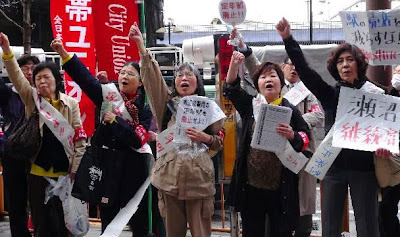 “I evacuated to Tokyo with whatever I had at the time,” Sachiko Kameya from Futaba, Fukushima Prefecture, said at the rally. “I had no one I could talk to, but I found this tent and people who are here. They helped me stand on my own feet again. Talking to them made me realize that I had to do something. That’s when I decided to take part in the protest at the prime minister’s residence. The government has something else it needs to remove, and that’s Fukushima Daiichi Nuclear Power Plant. Don’t restart other plants. I don’t want other people to experience this tragedy like we dd. The tent saved me, and so it’s our turn now to save the tent. By Shinya,Ko Kokutetsu and M.
Photo=Sachiko Kameya speaks at the tent.